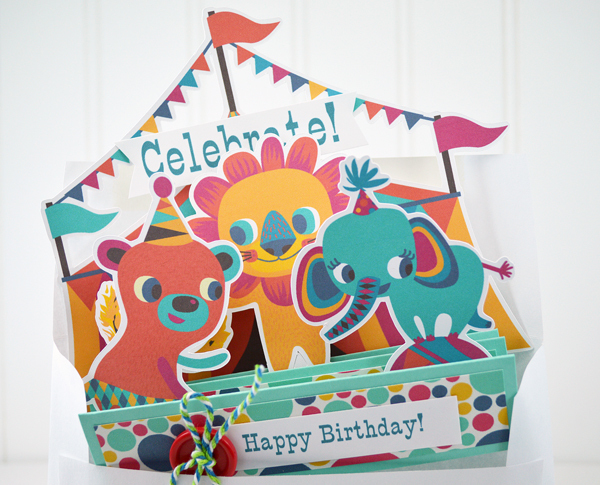 My friend, Kim, from Altus, Oklahoma (a town my dad grew up in) asked for a circus card for her two year old grandson. I knew I wanted to start with a circus tent, but I also wanted something a little different from the usual. I've already made three of these cards - two more people asked for them when they saw Kim's! I found these wonderful images at Clip Art Garden. Aren't they fun? I've got to head back and look at all the other goodies - I just didn't have time earlier. 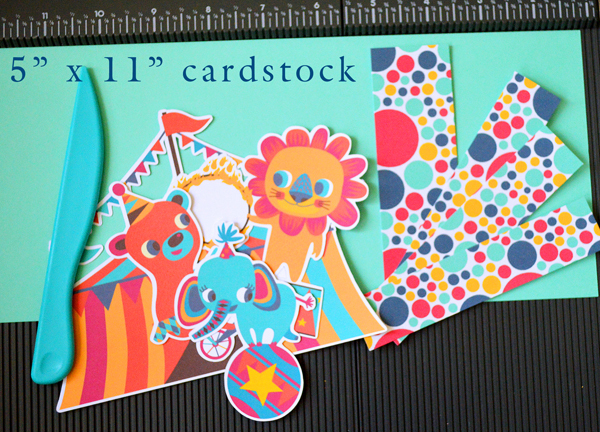 I decided on a step card to showcase these fabulous circus animals. You'll need four strips of decorative paper. 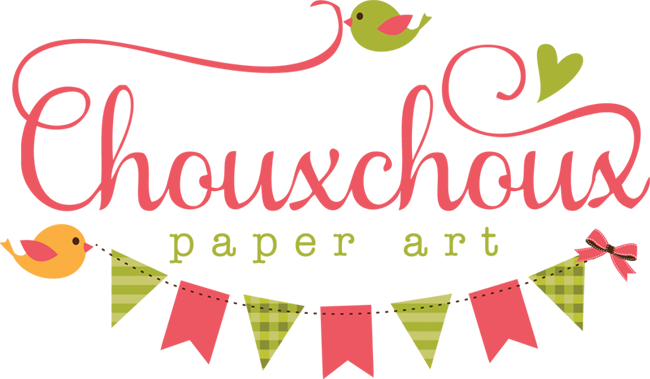 I love this polka paper it is from White Coffee Designs and is from the Confetti Polka Dot set. One strip is 1 3/4" x 4 3/4" and the other three are 1" x 4 3/4". 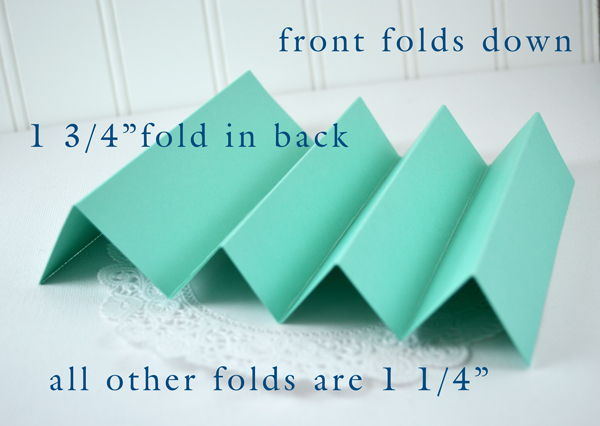 After you've scored the cardstock, fold it accordion style. The front should fold down. Now you're ready to decorate! 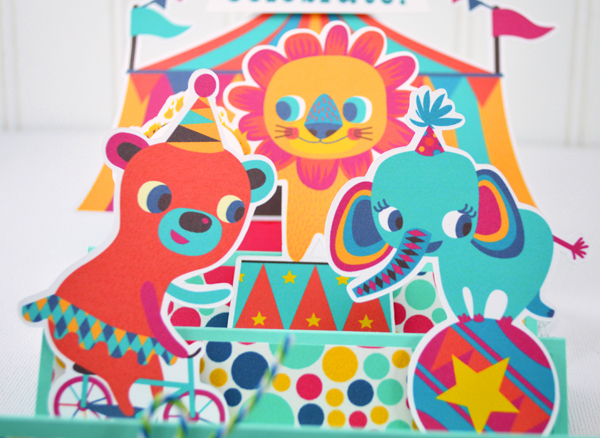 On this card the bear, elephant and lion are sized at about 3 7/8" tall. The tent is about 4 7/8" tall. The lion is holding a flaming ring and I die cut a sentiment to fit it. You could personalize it - for example for Kim's grandson I put: Look who's 2! I adore the sweet details on these animals: like the elephant's nose. 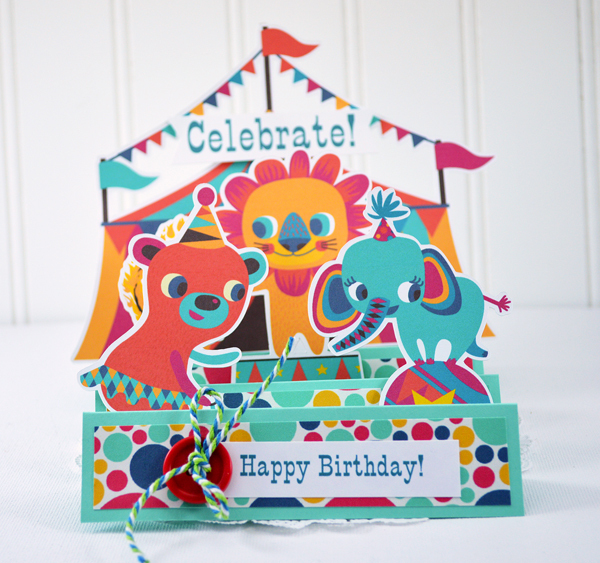 This card is perfect for a birthday, It looks cute folded up and also spread out! Let's celebrate! 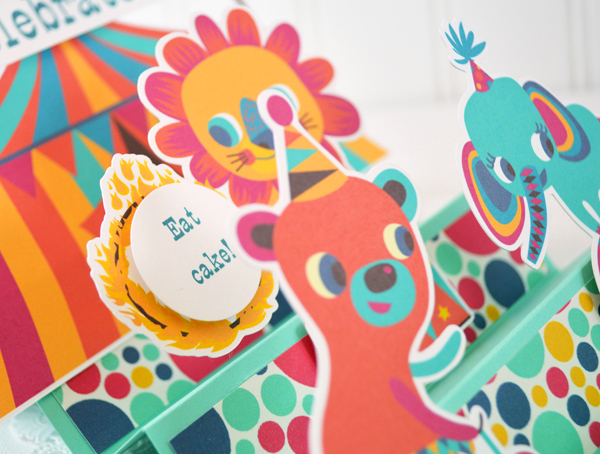 Your circus is the one I'd definitely go to Lori, it's beautifully made and so cute as well! 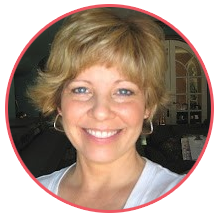 Hey Lori - you are so talented and this card is not only fun but cute as can be. I could not do this following directions much less making it up as I go! HOW FUN AND ADORABLE IS THIS CARD?!?!?! Youare beyond talented my friend! beyond! Lori you should submit this for publocation, its fabulous!